Experts say the body absorbs up to 60 percent of what you put on your skin. So if you’re all about eating organic, should you care about switching to organic beauty products, too? The answer is yes! The skin the largest organ in the body, so treat it with love. The key: choosing products that use botanicals and essential oils rather than harsh chemicals and artificial ingredients and fragrances. The latter can not only harm you and your internal system, but also be hazardous during pregnancy or breastfeeding. Going organic ensures you’ll be free of pesticides and endocrine-disrupting fillers like phthalates, parabens, and BPA. 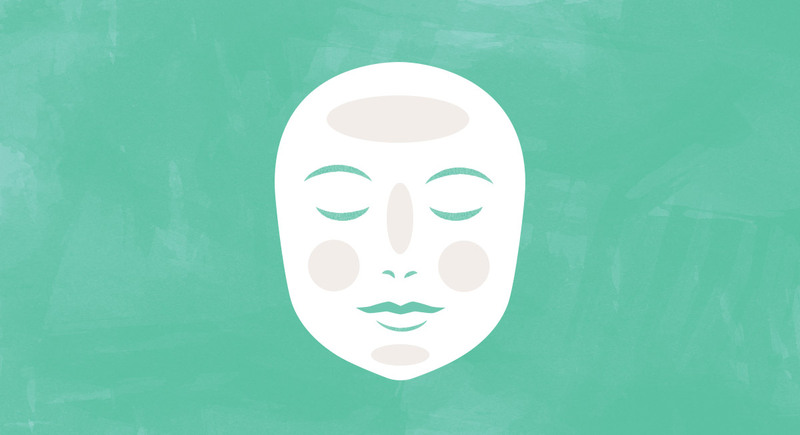 Wondering how to jump into an organic skin care regimen? We’ll make it easy. 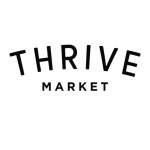 At Thrive Market, we’ve got some of the best natural products from award-winning brands and companies that follow strict organic standards, all available at 25 to 50 percent off retail (move over, Whole Foods). They’re all cruelty-free, eco-friendly, made in the USA, and many use recycled packaging—so many reasons to never look back at conventional products. Here are our top picks that even the most discerning beauty insiders and skin care gurus (we’re looking at you, Gwyneth Paltrow) would love. 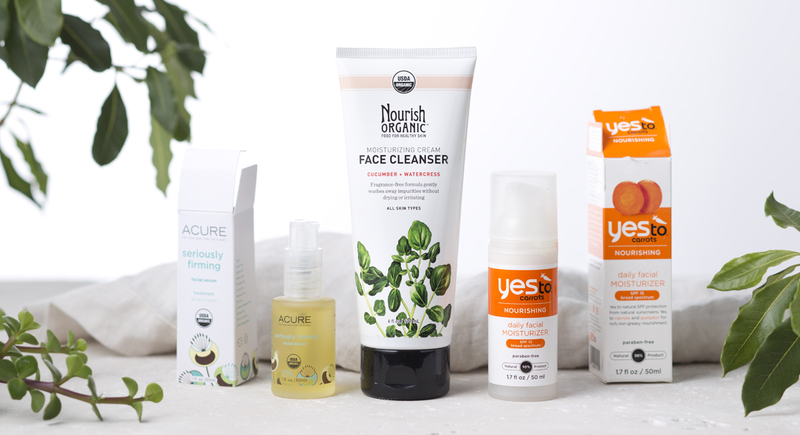 Put your best face forward with these pure, organic facial washes. No soap needed here. Botanical ingredients, along with plant-derived antioxidants, gently whisk away dirt and oil. Vegan-friendly and safe for sensitive skin, this wash contains plant-based ingredients like apple juice, aloe vera, chamomile, and cucumber. Alba Botanica draws inspiration from the bright and breezy islands, as in this cleanser with pineapple and papaya enzymes to refine pores and brighten skin. Aloe, hibiscus, and passion flower soothe and balance. Can’t manage to get it together for a full-on face wash? No problem—these towelettes remove makeup, deep clean, and refresh in a pinch. Exfoliation is the key to flawless, glowing skin. Each of these organic scrub options has its own special power. Intrigued by the prospect of lava on your face? You should be! Use this as an exfoliating scrub, or add water to create a deep-cleaning, regenerative mask. 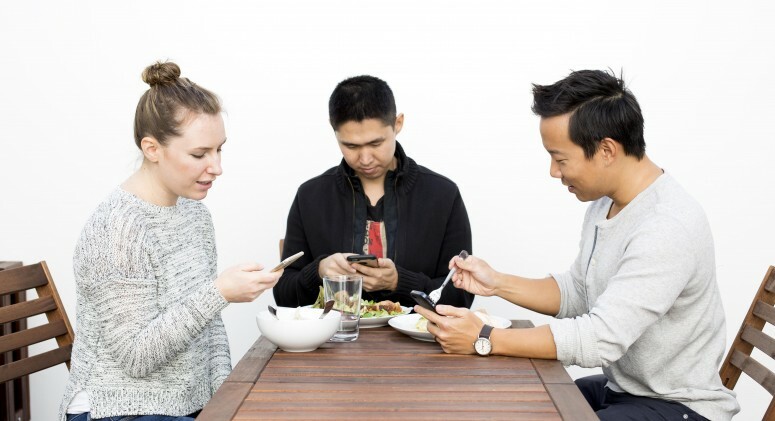 The product's near-perfect customer reviews speak to the its effectiveness. An ideal complement to Alba's Pineapple cleanser, this scrub washes away impurities with papaya and pineapple while fine granules buff the complexion to radiant perfection. Moisturizing jojoba, soothing aloe vera, and revitalizing vitamin E are just the icing on the cake. One of the stars of Alba's full line of sea enzyme products, this gentle scrub combats dryness for a polished, even skin tone. Don’t skip the toner. Applying it after cleansing but before moisturizing is ideal for balancing and priming skin. If oil and shine are your main skin issues, Acure's alcohol-free toner is for you. Purifying witch hazel is the magic ingredient, along with vegetable glycerine, which pulls moisture from the air. Rose and chamomile soothe skin while nourishing its protective layer. Bonus: everything from this brand is USDA certified organic, fair trade, and vegan. To fight hyperpigmentation (discolored, darkened patches of skin often caused by free-radical damage), try Avalon's antioxidant-rich toner. Aloe, cucumber, and papaya extracts also refine pores and provide luxurious hydration. What could be more soothing than rosewater and witch hazel? Try this vegan and USDA certified organic skin saver. Stock up on a USDA certified organic version of a medicine cabinet basic. Moisturizing is a must for keeping skin looking beautiful all day long. A light formula perfect for wearing underneath makeup. Sea moss extracts regenerate cells to even out the complexion, while light SPF protects from sun damage. Another great all-around moisturizer that offers sun protection while still remaining lightweight. Tropical oils provide decadent moisture to parched skin—combined with the sweet jasmine scent, this cream will conjure balmy Hawaiian dreams. A weightless moisturizer that gives skin the glow its name suggests. Antioxidant polyphenols from grapeseed oil also offset free-radical damage, and hyaluronic acid enhances moisture retention. So rich and creamy. Moroccan argan oil, pomegranate, and acai make it the ultimate all-natural moisturizer for softening, firming, and revitalizing skin. For night, you might need something a little more heavy-duty to really hydrate during the skin’s vital regenerative process, which happens while you sleep. Want to wake up every morning looking more radiant than the night before? Try this plumping formula, designed to naturally regenerate skin cells with Alba’s signature Marine Complex. In a clinical test, the product was shown to reduce discoloration after two weeks of continuous use. Eyes are pretty much your best attention-grabbers, so treat them with major TLC. These all-natural eye creams work wonders. The delicate skin around the eyes drinks up this combo of fatty acid–rich avocado and argan oils. The result: reduced puffiness and nonexistent dark circles. Consider Alba Botanica's ACNEdote line a full arsenal for fighting annoying acne flare-ups. Of course, it’s all dermatologist-tested and noncomedogenic. Not only does this oil-free cleanser unclog pores, but the maximum-strength salicylic acid banishes blemishes fast. A scrub that’s gentle enough for the face, but strong enough to tackle “backne.” Walnut shell is the natural exfoliant here, along with salicylic acid derived from willow bark extract. Don’t forget to tone with an astringent to dissolve oil—it’s can help shrink a breakout overnight and prevent future flare-ups. Who doesn’t want to look more youthful and fresh? Take preventative measures or treat premature photoaging (another word for sun damage) with these high-impact organic products. Serum is the key to absorbing a concentrated amount of antioxidants and fighting free-radical damage. Here, antioxidant-rich cranberry firms and gets skin glowing, argan oil restores moisture, and borage oil soothes inflammation. An age-defying cream that boasts collagen and elastin, as well as antioxidant vitamin C, lemon bioflavonoids, and soothing white tea. Defend skin from the elements and free radicals and boost collagen and elastin with Avalon's rich cream, which moisturizes without leaving your skin feeling greasy. The star ingredient in this line: COQ10, which functions as an antioxidant to restore damaged skin. Oils deserve place in just about every skin care routine. There are so many luxurious ones to choose from. We’re crazy about rosehip. Harvested from southern Chile, an area particularly rich in native rose bushes, this pure oil is extracted from the seeds of the plants’ fruits. It works as well as serum to reduce dark spots and wrinkles for a soft and rejuvenated complexion overall. Marula oil is a well-kept secret that women in Southern Africa have known for generations. Acure’s Marula Project provides economic empowerment to the disadvantaged women who sustainably harvest this traditional substance from the indigenous marula tree. It works beautifully as a face serum, only with even more antioxidants, plus vitamin C, vitamin E, and flavonoids than argan oil. The only downside: This oil might not be the best for people with tree nut allergies, so test the oil on the back of your hand before applying it anywhere else. 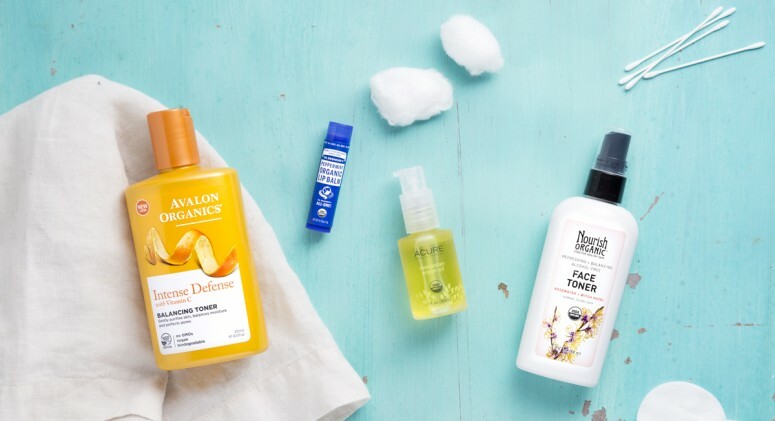 Treat the whole body to our favorite organic shower gels, scrubs, and moisturizers. This skin-pampering potion moisturizes and softens, and also happens to smell like a dream. Aloe vera, botanical extracts and fragrant herbs linger all day long. For a great all-around moisturizer that’s friendly to even sensitive skin, try this one packed with jojoba, hemp, and avocado oils, and cooling peppermint. Everything Dr. Bronner's makes is certified organic, fair trade, and vegan. Lock in moisture with argan oil and shea butter for a suppleness like you’ve never seen. Never walk out the door without full-body sun protection. A paraben-free, non-greasy sunscreen that works for the body and the face—and it’s water-resistant, too. If organic ingredients are important for adult beauty routines, they're essential for babies’ and kids’ delicate skin. Little ones need ample sun protection, too. Clean and safe minerals protect from UVA and UVB rays, while aloe and green tea cool down hot, dry skin. And because it's water-resistant, it's good for swim or sprinkler time. 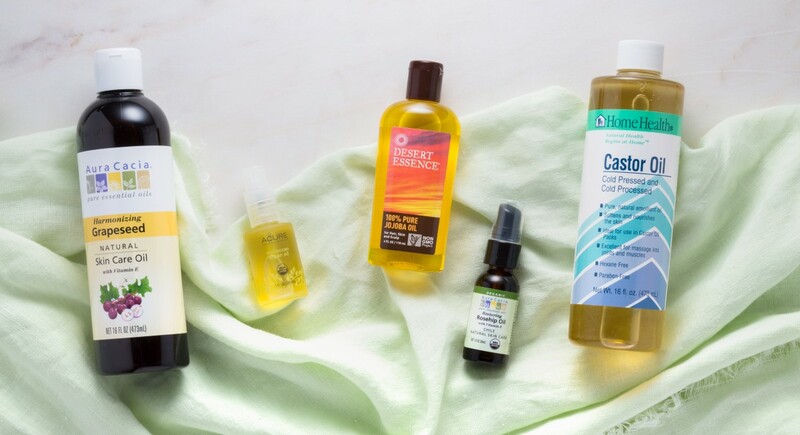 When choosing a baby oil, opt for the most natural kind out there, made with a nurturing combination of calendula, chamomile, and sweet almond oil to soothe and moisturize. Organic skin care doesn’t have to be intimidating—or mean hightailing it to a luxury salon every time you need a new facial mask. You can find a huge selection of organic options at Thrive Market that are totally affordable—or if you're up for the challenge, try some of our amazing DIY beauty treatments. Your skin will thank you.